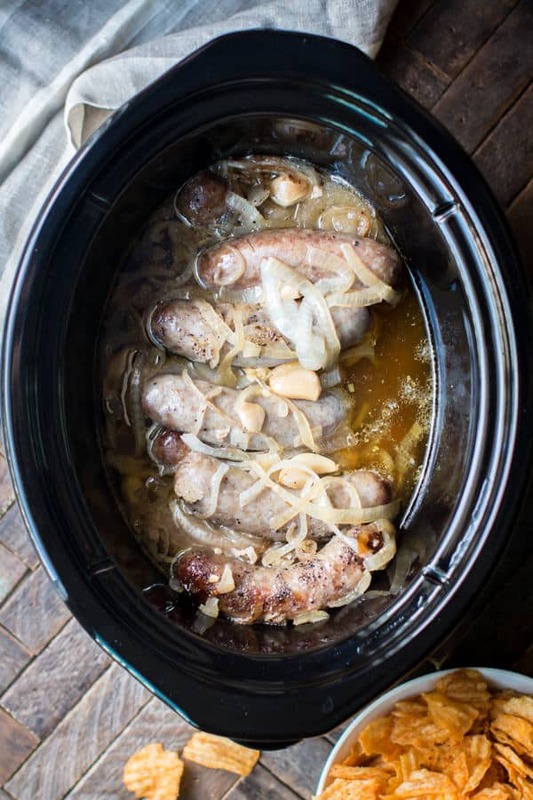 Slow Cooker Beer and Garlic Brats are great for game day or for a fall dinner. Hi again! It’s definitely fall here in Oregon! Crisp mornings but warm afternoons, my favorite time of year. 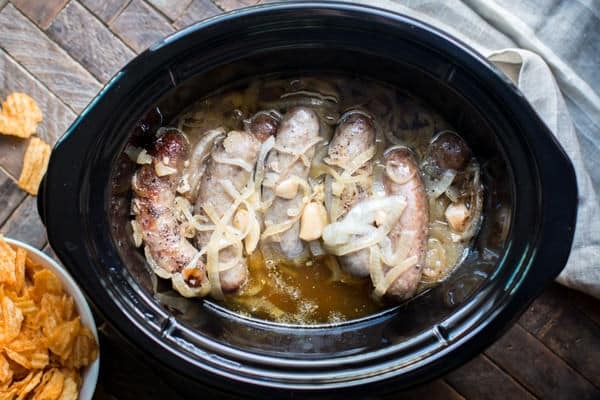 This recipe for Slow Cooker Beer and Garlic Brats is one of those recipe that smell SO good while it cooks. 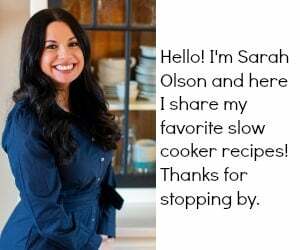 I kept putting my nose up to the edge of the slow cooker all day. I have another brat recipe on my blog, it doesn’t have near as much garlic and doesn’t have butter in it either. 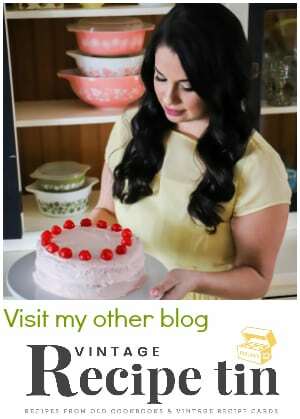 I’ve been often redoing recipes after I try them again, there is always room for improvement I think. I also decided to try the raw version of the brats. 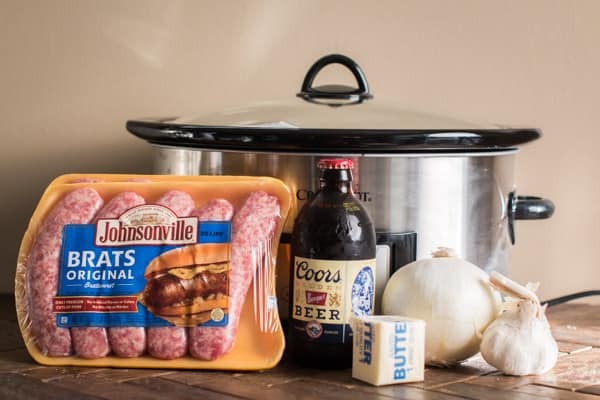 As I was on Johsnonville’s website today, I saw they make brat patties! What the what!? Yes I used 10 garlic cloves for this recipe. It may seem like a lot, but keeping them whole helps not overpower the recipe. Garlic goes SO well with beer and butter. You can see in my YouTube video below how easy these are to make! You can follow me on YouTube, here. Such an easy peasy recipe! Serve with chips and dinner is served. Have a great week. 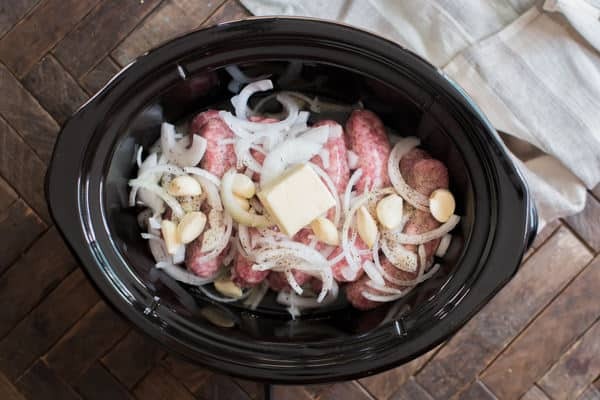 Add half of the onion in the slow cooker, add the brats in 2 layers. Add the rest of the onions, garlic, pepper and place the butter on top. 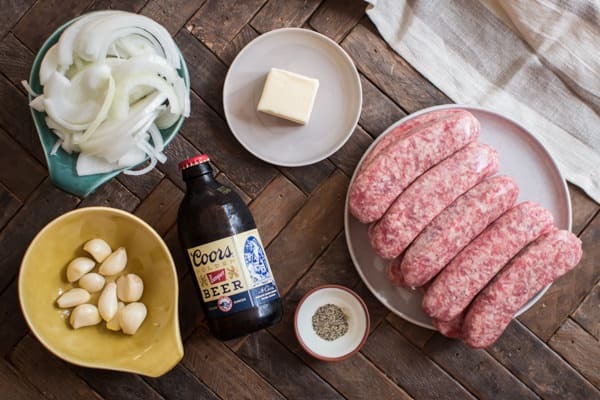 Serve the brats, garlic and onions on buns topped with desired toppings. 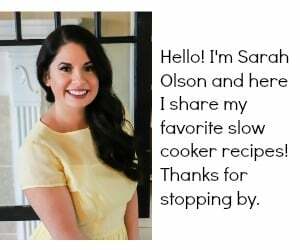 Do you think you could add sauerkraut to the recipe? It may be good! 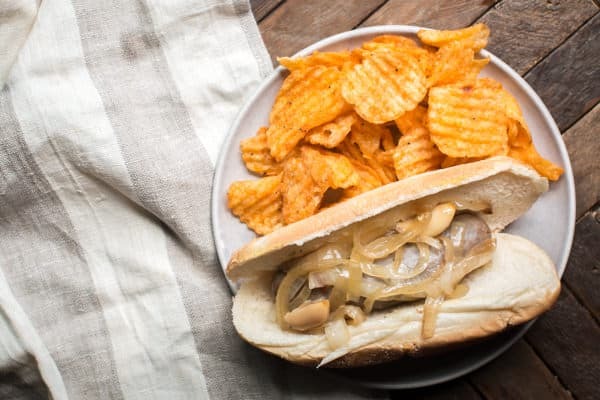 I searched google and found quite a few recipes with brats and sauerkraut cooked together. I think it would be fine. 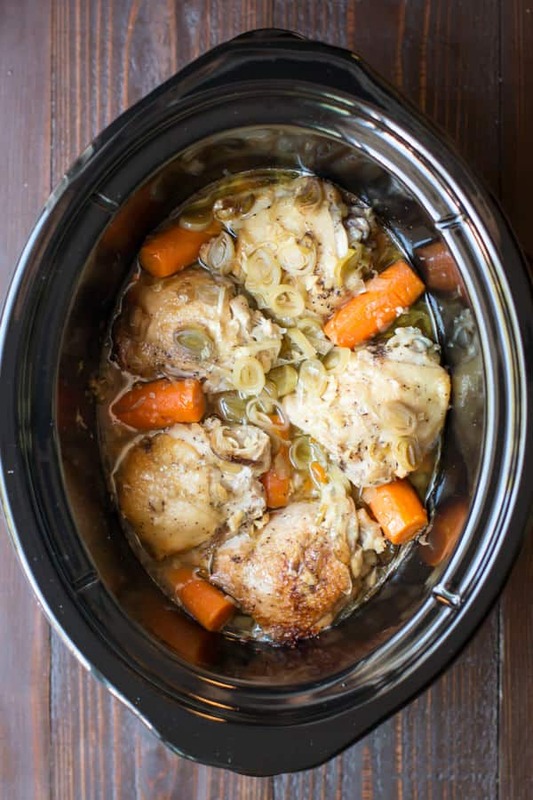 I made this recipe yesterday…it was a hit with the family! So delicious and perfect for the season! Give em a try with kraut it is amazing…the way it’s intended : ) , though we don’t do the beer and the kraut … generally either or up here in the far north woods of Michigan’s upper peninsula. Large German & Finnish heritage here , sausage is one of the food groups lol. Sounds good, I will try. Hi there! Gonna make these today – super excited! How would you store them after cooking? Would you keep some of the juice and put them in a tupperware? No juice? Would freezing them get weird? I don’t think I added much juice when I stored them in the fridge. I don’t know how they would freeze. I apologize. Would 3 hours on slow work as well? I meant 3 hours on high. I’m trying now and will reply to this tomorrow. 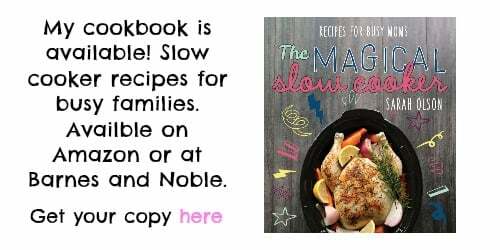 We have to speed it up because I forgot to turn on the crockpot. Making a half-order of this right now. It appears from the photos that 1/4 stick of butter (2T) was used rather than 1/4 cup (4T.) Which is correct? Thanks. Sorry, I take that back. The second photo clearly shows 4T butter. Great recipe!